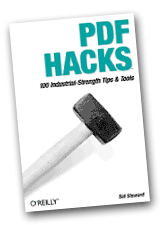 PDFtk is a simple tool for doing everyday things with PDF documents. It comes in three flavors: PDFtk Free, PDFtk Pro, and our original command-line tool PDFtk Server. Power Users: PDFtk Free comes with our command-line tool, PDFtk Server. So you get both the GUI and the command-line interface to PDFtk! 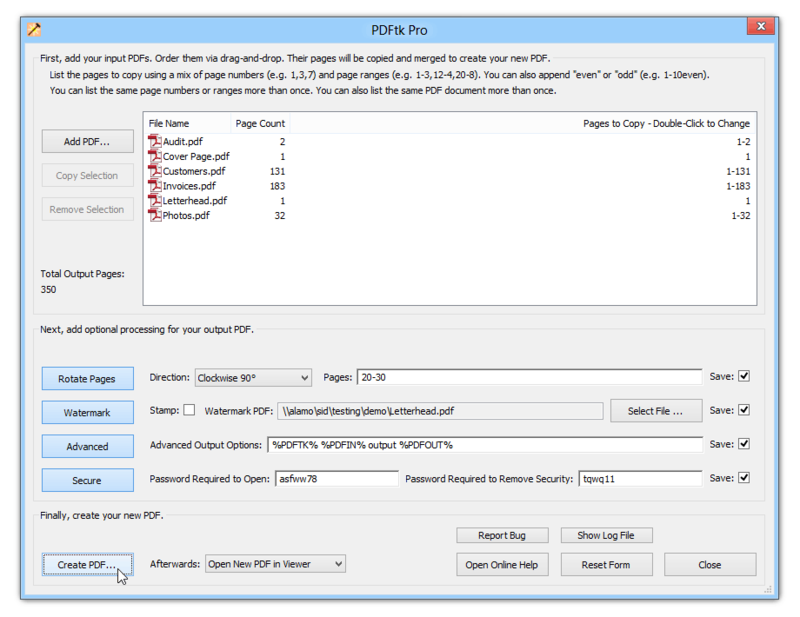 Use PDFtk Pro to quickly split, merge, rotate, watermark, stamp and secure PDF pages and documents. PDFtk Pro is a graphical application that makes working with PDFs as easy as possible. Power Users: PDFtk Pro comes with our command-line tool, PDFtk Server. So you get both the GUI and the command-line interface to PDFtk! PDFtk Server is our original command-line tool. It is commonly used for server-side processing of PDFs. It is also used by many PC software publishers to give their products the ability to manipulate PDFs.